The WingDipper, a specially designed cup for dipping buffalo wings, is a side project launched by the founders of Kickstart Concepts. After inventing and producing the actual plastic cup, the Kickstart Concepts team developed the WingDipper brand, website, and associated marketing materials. The product photography, product packaging, and even a tradeshow booth (that was featured in Exhibitor Magazine!) were all done in-house. 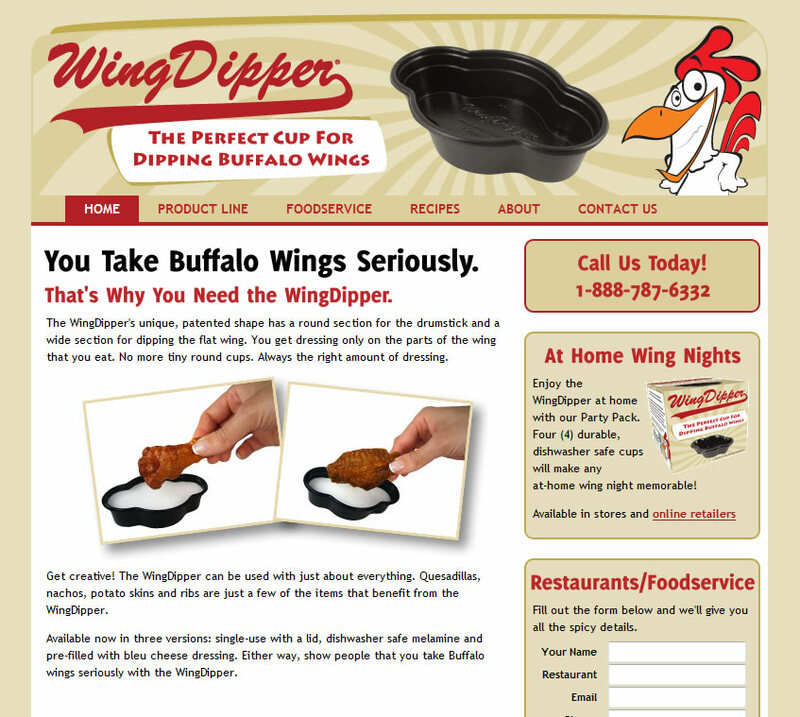 The WingDipper is now served alongside buffalo wings in bars and restaurants around the country.